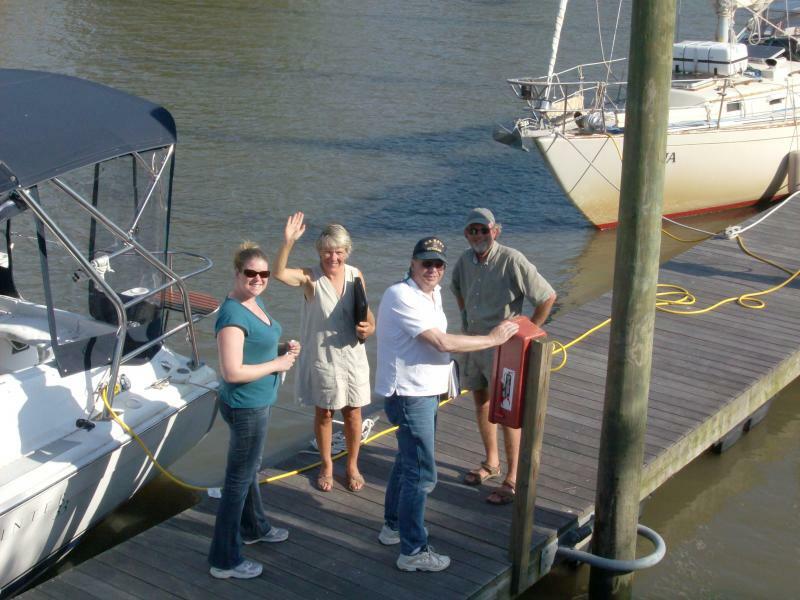 Overnight and day guests are always welcome on our short term visitor's dock. We offer seasonal, monthly and daily slip rates for our floating docks. Do you have a big bottom? We have the space for really big beams! Come take advantage of easy docking for big beamed boats. Call us at 302.834.4172 or hail on VHF Channels 16 or 09. Enjoy special savings with our new year-round slip and storage plan. For one affordable plan, you get 12 full months of storage. Choose land storage by winter, in-the-water slip by summer and one full, round trip haul, power-wash, block, and re-launch within hte contract period for one low price. All this for $140 per foot for a full 365 consecutive days! 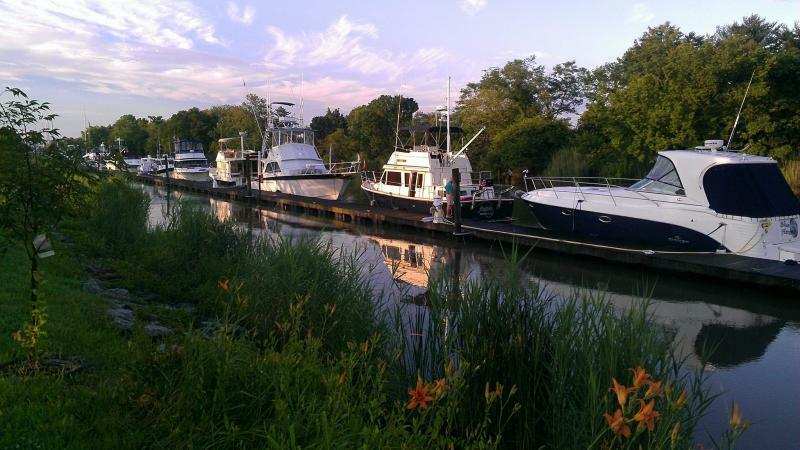 Long term storage is a breeze at Delaware City Marina! Out-of-state vessels are welcome to stay in Delaware without the tax hassles associated with out-of-state boat storage in Maryland, Pennsylvania, Virginia, or New Jersey. Boat Delaware where boating is less taxing! Above: Newly arrived, folks get ready for an evening on the town. 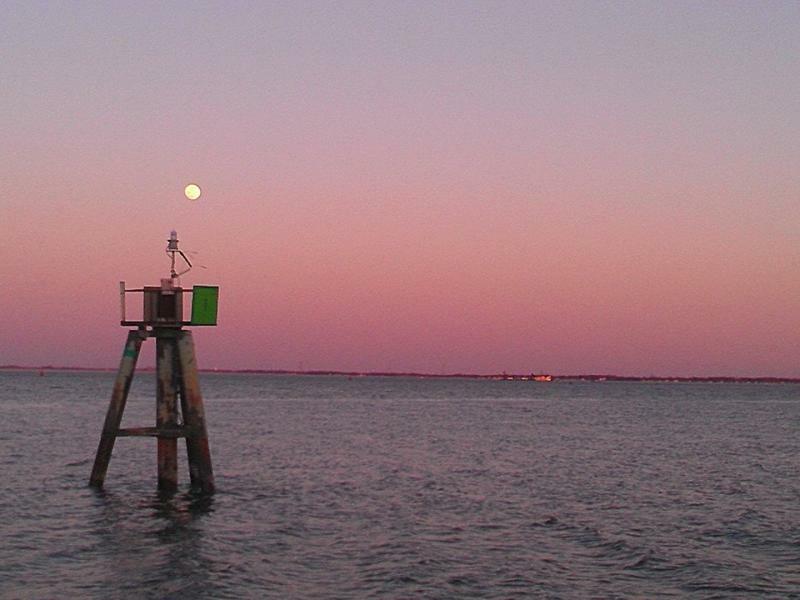 DELAWARE'S TAXMAN SAYS 'YES' TO BOATERS! Out-of-state boaters really enjoy the fact that Delaware Revenue agents don't cruise the boatyard or the docks looking for guests that may have grown roots. Vessels registered in other states can stay long-term in slips or land storage without the unpleaant hassle of receiving harrasing Department of Revenue letters that threaten outrageous tax bills on visiting boaters. Come boat Delaware where boating is less taxing! 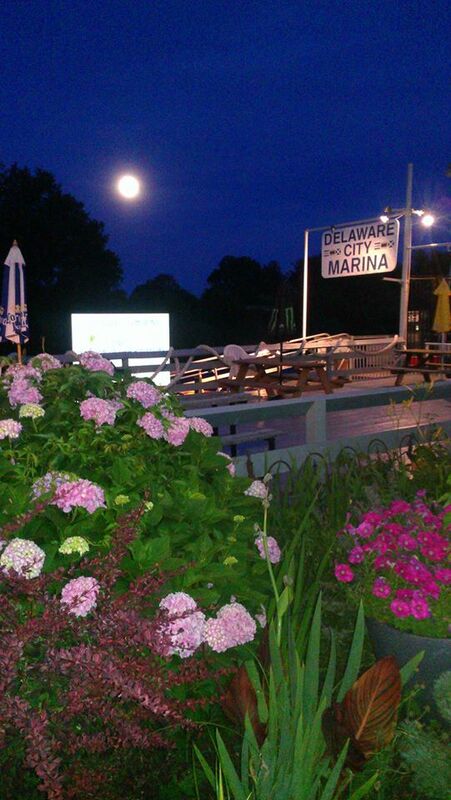 Below: Nightly guests visit Delaware City Marina.